It will soon be a lot more convenient to be an electric car owner in the Washington, D.C. area with the installation of DC Fast Chargers by ABM Electrical Power Solutions (ABM). 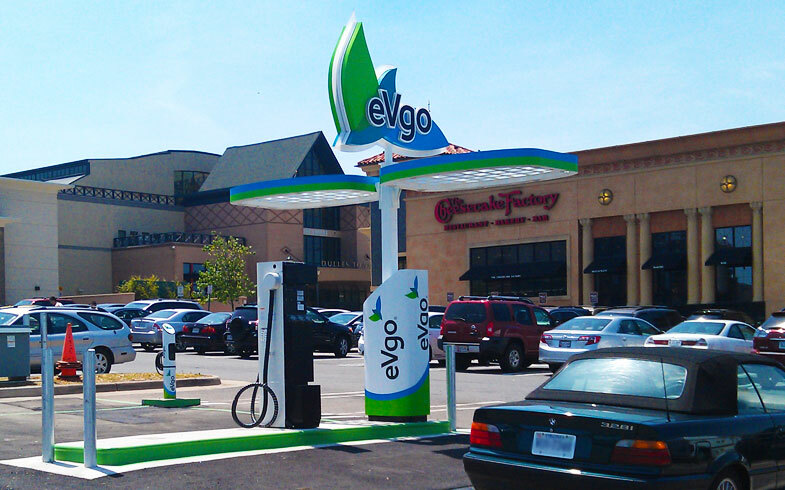 ABM is working with eVgo to install DC Fast Charging Stations throughout metropolitan Washington, D.C. These fast chargers will be available at eVgo’s “Freedom Stations” which are electric car charging stations. They are the fastest the company provides. eVgo is creating the nation’s first privately-funded, comprehensive electric vehicle (EV) ecosystem. It provides charging solutions to electric car owners as well as businesses. ABM is the only electrical contractor in the area performing this type of installation and was the first to install a DC Fast Charger on the East Coast. Add about 50 to 60 miles of range to an electric vehicle in approximately 20 minutes. This is much faster than standard chargers. Standard charging (3 kW) can take six to eight hours to fully charge. Charge most Electric Vehicles to 80 percent in 30 minutes. Deliver range at a rate of up to 150 miles per hour. ABM has already completed a DC Fast Charger install in Northwest D.C., near the University of the District of Columbia. The company will install 40 more locations spanning from Towson, Md. to Pentagon City. ABM is finishing up two other DC Fast Charger projects now and expects to install DC Fast Chargers at the Dulles Town Center, St. Charles Town Center in Waldorf, Md., Frederick, Md., and the mall in Centreville, Va. by the end of the year. “It makes electric cars fit more easily into everyday life, as it can reach full power while you grocery shop. It’s more attractive for someone to have an electrical car with a solid infrastructure like this in place,” said Mike Golden, Superintendent of ABM Electrical Power Solutions.